“Station Master”-Chinese Air Force. Operated remote radio stations and warning net. Pre AVG: BS Degree from University of Alabama. Enlisted in First Pursuit Group, Selfridge Field Michigan, in September 1939. Completed 9 month radio operator/mechanic school in 1940. Signed AVG contract and departed for China on the Dutch ship Jagersfontaine in late summer of 1941. AVG Service: In early fall of 1941, left Toungoo, Burma, via truck convoy taking supplies up the Burma Road to our main base in Kunming, China. We had Chinese drivers and American built trucks. We soon reduced the Chinese drivers to “co-pilot” status and took charge. Established radio station in a Chinese Buddhist temple about 100 miles south of Kunming. The station and warning net was in full operation in November 1941. Later moved to a radio station at Mentze on the French Indo-Chinese border. In early 1942, moved that station by truck and rail to Hengyang base in East China. When AVG contract expired on 4 July 1942, I was recruited back into the Army Air Corps as a 1st Lt. Note: Not much paperwork involved since I was given oath of office (sworn in) over the radio. In August 1942, moved to Kweilin, China, until December 1942 and then returned to the USA for pilot training. Four ex-AVG (Rodewald, Sykes, Roberts, and Richardson) returned to west coast pilot training. We were extremely lucky in that we were able to take training in “officer” status. Saturdays and Sundays were free time and we did not have to take military training required for aviation “cadets.” Bill Sykes was killed in advanced training. After graduation, Rodewald and Richardson were requested by name to report to Tex Hill at the Air Proving Ground Test Facility at Eglin Field, Florida, (Tex was the group commander). In the first 6 months out of pilot training, we enjoyed flying almost every type aircraft in the Air Corps inventory including some experimental aircraft. Note: Air Proving Ground Test Facility was the best flying assignment ever. 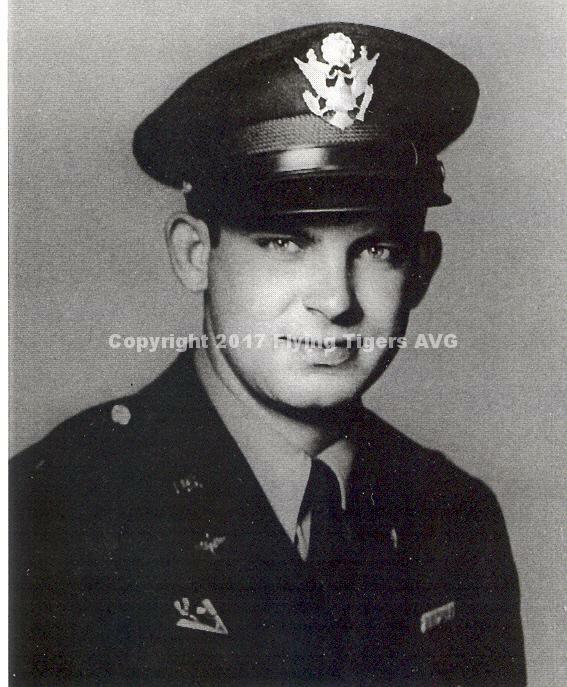 Note: Carson Roberts killed while flying air drop mission on Allied invasion of Southern France. Note: Approximately 13 AVG ground crew members entered pilot training after return to the USA. Some Navy, some Army Air Corps. The proving ground assignment continued to cold weather testing in Alaska (2 years). Other overseas tours included Hawaii, Germany, France, India, Okinawa (Vietnam). Last seven years duty in C-130 airlift with missions world-wide. Retired as a regular Air Force Colonel in September 1971. Probably, subject to challenge, I was the last AVG Tiger retired from active duty.